Considered an urban butterfly, the Mottled Emigrant is as comfortable in urban parks and gardens as it is in the forested nature reserves of Singapore. As long as its caterpillar host plant, the Seven Golden Candlesticks (Senna alata) is present, one can almost always find the Mottled Emigrant around. The Mottled Emigrant is greenish-white in colour, with thin black borders on the upperside of the wings and a prominent cell-end spot on the forewing. The underside bears reddish striations, giving the wings a "mottled" appearance. The female lays her eggs on the upperside of the leaves of the host plant, and often many caterpillars are found eating the younger leaves of the plant. 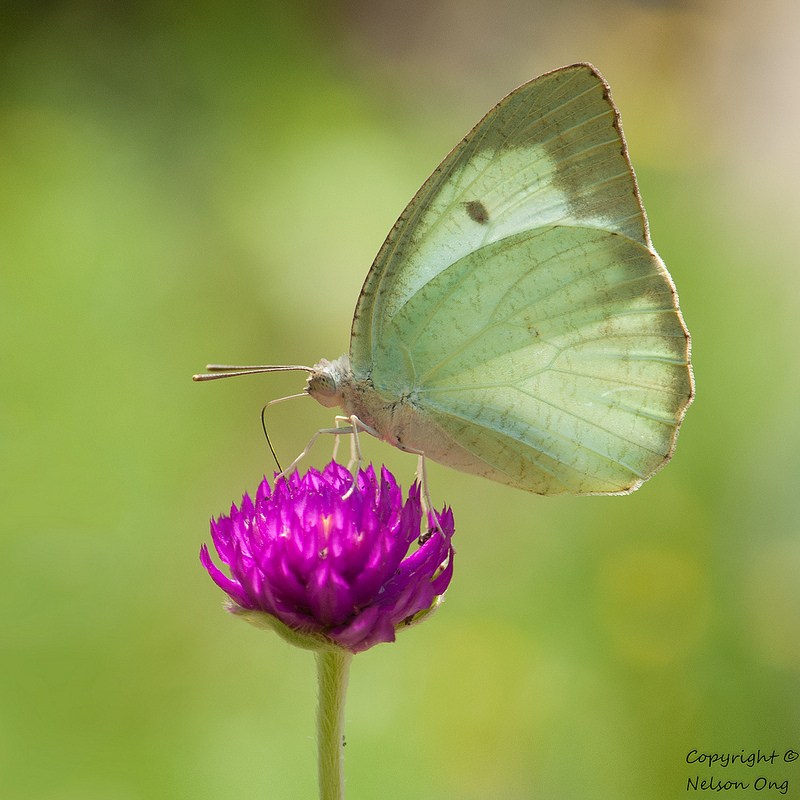 This shot, of a feeding Mottled Emigrant, was taken by ButterflyCircle member Nelson Ong at the Fragile Forest of Gardens by the Bay.